This book is a great resource! I’m looking forward to volunteering as a judge for the Edmonton Confucius Institute’s Chinese Bridge competition. The theme this year is “Speak Chinese and make new friends around the world“. I’ve participated for the several years and it’s always wonderful to see the different ways that students make the topic their own and showcase their skills. The day itself is always good fun– students start off with a knowledge test (see grade 1-3 study questions here), followed by the speech contest round, and ending with the talent competition. Some students sing, some dance, some do magic— I once saw a student do a condensed ‘cooking show’ performance that was really neat. Someone gave me a free (swag) water bottle the other day–looking at the picture on the box, I could see that the design was one that seems to be pretty popular these days. With a somewhat subdued design that wasn’t dominated by a corporate logo splashed everywhere (hidden here), it seemed like a keeper. Before throwing out the box, however, I thought it would be a good idea to check if I was going to be able to wash my water bottle in the dishwasher. That’s when it happened– I picked up the box and….found myself looking at the French version of the description and instructions. The language learning mind games had begun. As someone who likes to speak French sometimes (still a rusty B2), I was essentially faced with a question: read the French, or take the easy route and flip over to the English? Hard to put words to this trip, but I’ll offer the following summary and let the pictures do the talking. In short, I got an opportunity to come to China to participate in this year’s 汉语大会. It’s an annual Chinese proficiency contest that’s put together through Hanban, the people behind the Confucius Institute, and CCTV4, the international branch of Chinese Central Television. I would only commit to the trip if I could bring my son– thankfully, they obliged my request and he’s here with me. I recently borrowed The Martian (Matt Damon as Mark Watney, stranded on Mars) from my local library; having only seen a fragment of a trailer for the movie at some point, I didn’t know much more than the basic plot line–it’s always nice when you can see a movie without having seen too many spoilers! Apologies if I’m spoiling the movie for anyone here, but it was a pleasant and totally unexpected surprise to see a scene shot with Mandarin dialogue. I’m sure many students of the language shared my delight in following along with the dialogue. There were a couple of words that I couldn’t catch, so I hit rewind and then ended up trying to search online to see how words like ‘orbit’ and (rocket) ‘booster’ are written (i.e. in Chinese characters). To my surprise, I wasn’t able to find the whole dialogue in one place, so I thought I would transcribe and capture it in one document and share it here. Surely I can’t be the only language enthusiast who wanted to stop and soak up this dialogue? 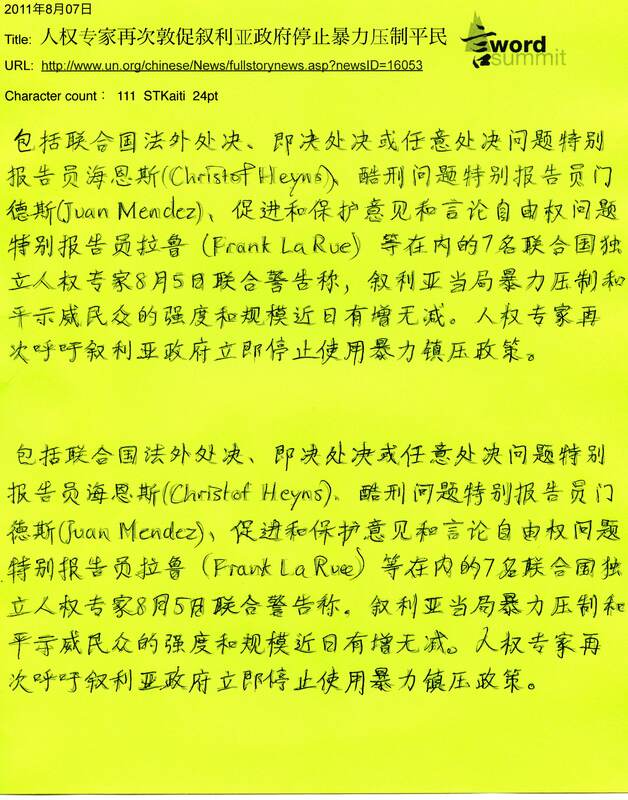 If you’re looking for the Mandarin spoken between Guo Ming (played by Eddy Ko) and Zhu Tao (played by Chen Shu) in the CNSA offices, I hope this pdf (click here or on image above) is useful for you! The English you see in the movie subtitles is very accurate, save the small edits made for brevity. For example: “Their astronaut is going to die” (movie) vs. “Their astronaut is going to starve to death” (see above). I remember once hearing that subtitle translation for movies is a subtle art— because the human eye can only comfortably read so much dialogue as it flashes across the screen, translators need to be concise; in other words, we can’t read as fast as we can listen so sometimes the ‘correct’ translation isn’t the best one. If anyone finds an error, let me know! For the last year or so, I’ve mainly used three tools to help with reading Chinese online: Zhongwen is a great Chrome popup tool for being able to ‘mouse-over’ characters you don’t understand; Popup Chinese (formerly adsotrans) can be used for similar effect, but it’s amazingly useful for generating pinyin from Chinese text; finally, it’s hard to beat Google Translate in terms of continuing improvements— you can even click on the ‘listen’ button and hear a decent computer-generated reading of passages in the target language. Another tool that I’ve tried in the past is Steve Kaufmann’s Lingq platform. Following my last post recognizing that I need to get back on the horse with Chinese reading/writing and pass HSK 6, I went back and set myself up with a basic membership and linked a badge to this blog. If you’re looking for a new language-learning tool, you might want to take Lingq for a spin. They always seem to be tweaking the system and adding new features— it had been almost a year since I last used Lingq, and I was surprised to see the many subtle ways that the platform has improved. To understand what the number of “known” Chinese words in my Lingq badge represents, you can take a look at the video below. It’s easy to imagine how powerful Lingq can be after you use it for awhile and accumulate words in your dictionary— the basic idea is that, after importing a new passage, you have an instant sense of how many unfamiliar words are present because they’re highlighted in blue. Words that you’ve marked as noteworthy in previous articles, for whatever reason, are highlighted in yellow. Admittedly, I will have to do quite a bit of mundane clicking of words I know before reaching that point. Admittedly, this isn’t for everyone, but I quite like the idea of keyboarding (simply re-typing target language passages) as a language learning tool. Does it work? Why? How? I don’t have an argument to convince you, but somehow I find it useful. When I recently watched Everything is a Remix, I was interested to hear that “Hunter S. Thompson re-typed The Great Gatsby just to get the feel of writing a great novel.” (skip to the 1:00 mark of the video)— I had never thought of re-typing a whole Chinese book but maybe there’s something to this? As for writing by hand, I wrote a post on making your own tracing pages earlier this year. Last weekend, in an effort to get back into the groove of regular writing practice, I pre-made tracing sheets for the week and worked on one every day. My writing can be neat if I take my time, but if you look through the completed sheets below, you’ll see that most of the tracing is scratchy and rushed. At this point, I don’t know if it’s better to try and do a better (neater) job on a smaller text, or stick with the current character count (repeat a 100-180 character passage twice) until I can comfortably get through the passage without feeling like my wrist is going to cramp. Who knows? At this point, putting pen to paper every day is a success, so I’ll take it as a win for now. 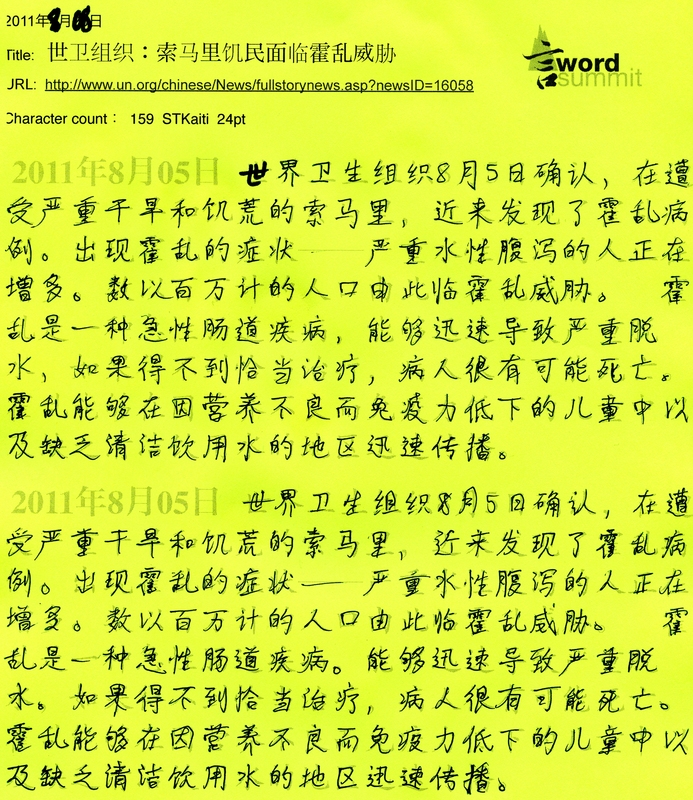 Passed HSK Advanced Spoken (高级口试), but not HSK 6–why? I recently got a classic set of ‘good news/bad news’ from the staff at the Edmonton Confucius Institute. The good news was that I passed the Advanced Spoken HSK test (yay! ); the bad news was that I didn’t quite make the grade for HSK 6 (ohhhhh). As I look at regrouping and looking at trying again, it’s worth asking the question–what happened?? 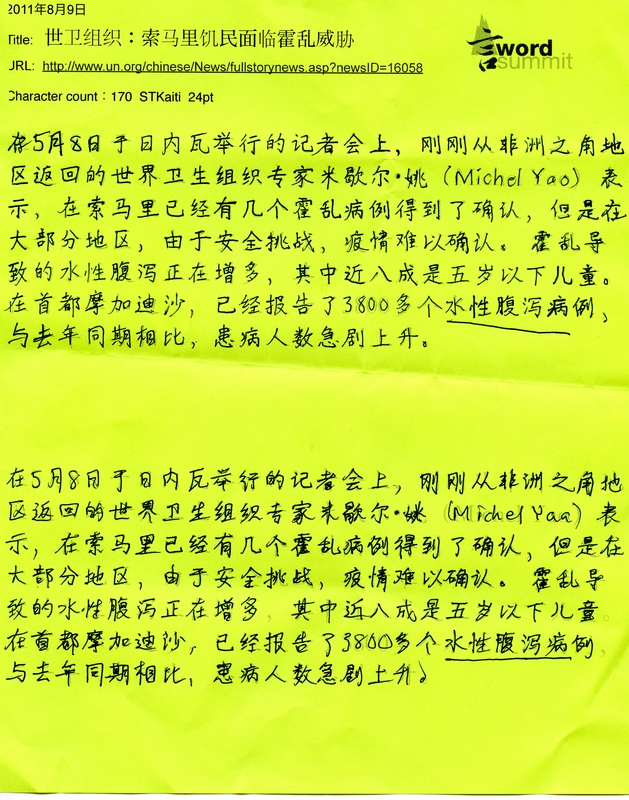 Both tests consist of listening and reacting to questions from a pre-recorded test on a CD; a digital audio recording of your responses is made by the proctor, and I understand the actual grading is done by Hanban officials back in China. The pre-recorded CD contains timed pauses during which you give your responses, so the test really is exactly the same, no matter where you take it in the world. 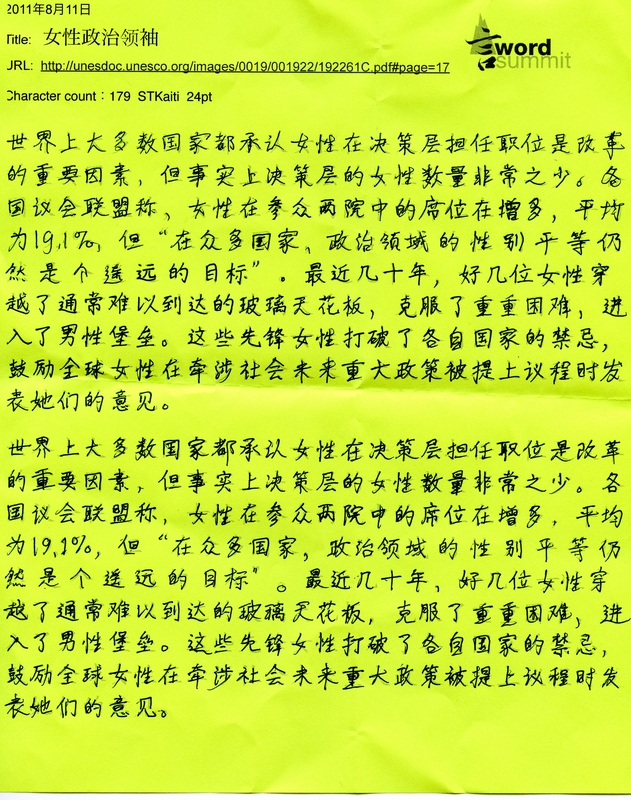 Whereas the Intermediate HSK Spoken Test starts with a series of short sentences that you simply need to ‘repeat’ back into the microphone, I was initially surprised by how long the passages were for the Advanced HSK Spoken Test– I suppose some kind of genius could parrot the passage back word-for-word, but I think the goal of the initial section is to see if you can hold the relevant facts in your short-term memory (you can make short notes), and then reproduce a bit of a summary. There is a section that asks you to read a passage aloud– as I recall, you have a few minutes to read it over before speaking. In the final section, the voice on the tape asks you to respond to a few questions– in this part, it wasn’t so much of a question of “what is the correct answer?”, as it was an opportunity for you to give your personal opinion on the topic. Overall, just as you’d imagine, the Advanced Spoken HSK Test offers more opportunities to talk about more complex things, show off some more challenging vocabulary, etc. I still have plenty of room to improve, but I’m very happy that I passed this test! Put simply, I didn’t pass HSK 6 because, up until this point, I have concentrated almost exclusively on my listening and speaking skills, and largely ignored reading and writing. The result is that I was easily able to pass the listening section of the HSK 6, but I still have a ways to go on the reading and writing sections. This wasn’t really a surprise, but it’s a good reminder that I really do need to shake things up if I’m ever going to get beyond HSK and communicate like a reasonably literate person. I try to listen to full-length interviews and watch movies, but I don’t read short stories or books. During my commute to work every day, at least 2-3 Chinese podcasts and/or songs make their way into my ipod playlist, but I don’t read the news in Chinese very often. As long as the above remains true, I can’t really expect to progress much farther than my current level. 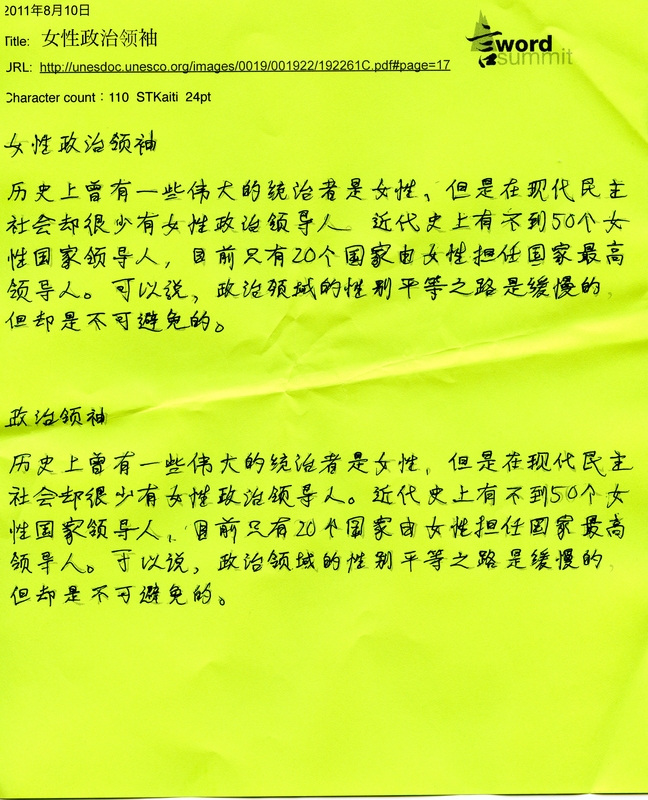 This isn’t of course, to say that I can’t read and write in Chinese at all; after all, I did manage to pass HSK 5. 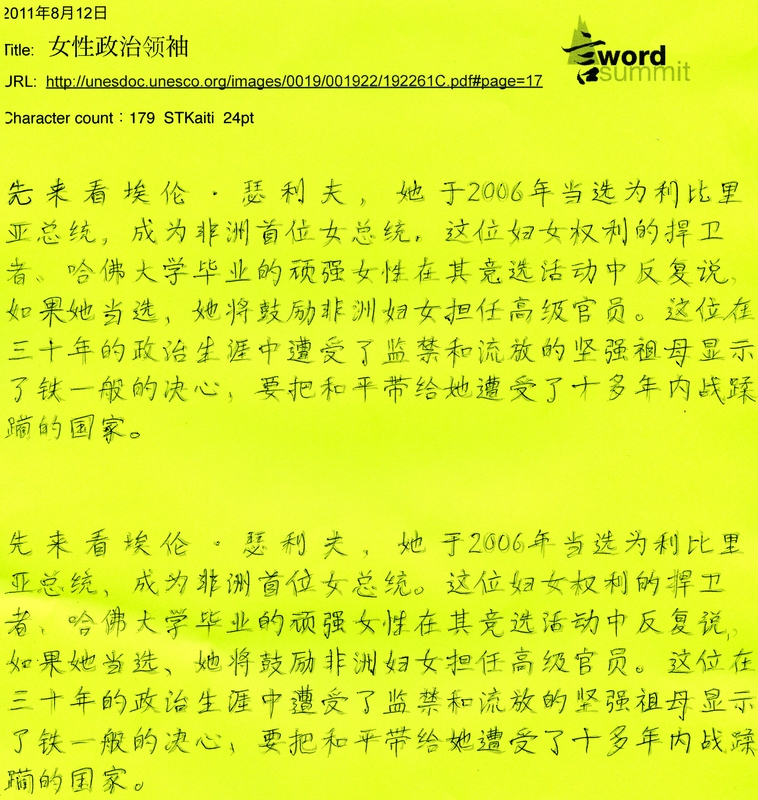 If I’m composing an e-mail in Chinese, I can type in pinyin and choose the correct hanzi from the options presented in order to create text that is reasonably understandable. If I’m unsure of a particular phrase, I can even ‘test’ a phrase that I’ve written in Google to see if anyone else has created a similar sentence. The test taker will be required to read a narrative article of about 1,000 characters within 10 minutes, and then rewrite it into a shorter article of about 400 characters within 35 minutes. The test taker should also create a title for the article. The test taker should recount the article and is not required to express personal opinions. So, to make a long story short, I need to read more and I need to practice writing more. I have talked about writing practice before, so it’s now basically time to practice what I’ve preached.